Antonio Stradivari Cremona, 1710 "Ex-Vieuxtemps"
The known history of this violin begins with the renowned Belgian violinist Henri Vieuxtemps who was reportedly given the instrument by Count Stroganoff of St. Petersburg before 1870. 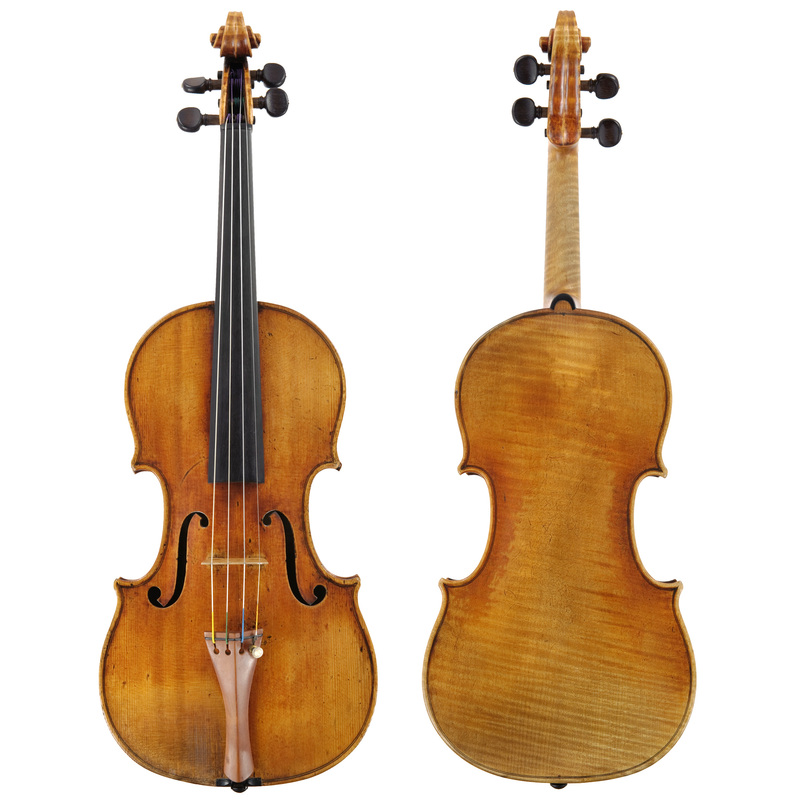 The most persistent and ardent collector of the day, the Duc de Camposelice, approached Vieuxtemps several times to purchase this Stradivari and his Guarneri del Gesu. But Vieuxtemps kept both instruments until his death in 1881. The Duke did purchase this violin but died just a few years later in 1887. In 1891 the violin was sold on behalf of his widow, Isabella, by the Hills to the violinist Percy Woodgate. Upon his death in 1918 the violin was inherited by his daughter, Berta, who became Wilhelm Furtwangler’s private secretary and concert manager. She fled Germany with the violin before the war and became the personal assistant to Thomas Beecham. In 1936 she entrusted the violin to the Hills for safe-keeping and they placed it with friends outside London. The collector Robert A. Bower of Somerset looked after the violin for most of the war years. He owned several great instruments including Vieuxtemps’ del Gesu as well as the “Lady Blunt” Stradivari. The “Vieuxtemps” was in very good company. Berta Geissmar died in 1949 and the ownership of the violin reverted to her mother Anna, who lived until 1954. The Hills maintained possession of the “Vieuxtemps” until 1961 when it was delivered to Else Geissmar in Seattle, WA. She kept the violin until 2003 when it was sold it to its current owner. The “Vieuxtemps” remained out of circulation for over a century. During that time all the major publications on Stradivari were printed. The violin’s existence and greatness were documented but its description was never accurately represented. Aside from the pictures used by Hamma in his 1901 catalogue, no photographs were taken for over 100 years. There are several references to the “Vieuxtemps” in the Hill diaries including “A finer Strad or Guarnerius from a tone point of view hardly exists”. Since there has been no wear or damage to the violin in the past century we can safely say that there are now very few violins that can be compared to the “Vieuxtemps”, in either condition or sound.